t*rexes and tiaras: Chaos Theory..
Actually, this has very little to do with chaos theory at all other than the fact that my Little Sis was recently trying to explain it to me and it's rather stuck in my head now as I wonder whether I can apply it to myself. I always joke that I work better under pressure and that my life is usually what one would call organised chaos, which seems to be the best way to ensure that I get things done.. Most of my corporate days are spent based at my desk in a fairly rural office. It can get pretty dark during the late afternoon if it's cloudy outside but I share the rooms with people who prefer a cave-like work environment than ever turning any lights on. 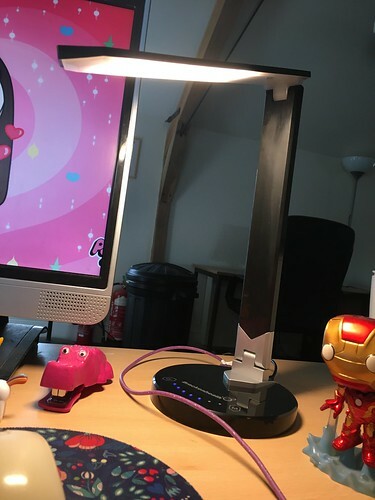 I was pretty pleased, therefore, to be sent my saving grace, in the form of this desk lamp from Ormrod. Frankly, it's made a huge difference to my desk area, even just over the past week. Made up of lots of LEDs, the Blade has several settings ranging from super-bright to more ambient (some of the LED bulbs are a more orangey glow than the usual white) and all of the controls are touch-based, which gives it such a slick, polished feeling. It folds right away on itself and doesn't take up much room to begin with, so there's plenty of desk space for it. 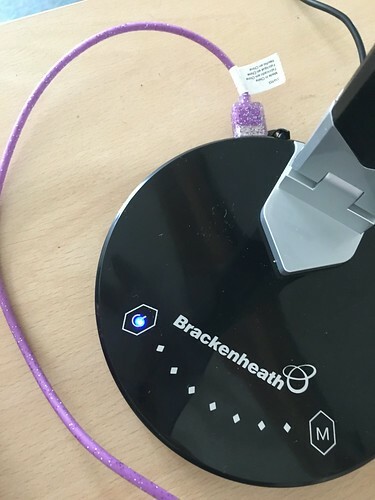 One of the most useful things about it is that there's a USB charging socket, which is perfect for charging my phone or my iPod from (there just aren't ever enough USB outlets on my PC; I'm forever doing battle with a tangle of cables, trying to find the right end to connect my camera or whatever, so this makes things much easier. 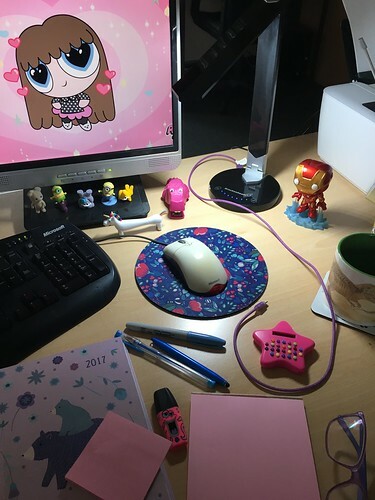 Oooh, I love how colourful your desk is, I'd love to be able to personalise my desk to this level but we've just been told that we're hot desking, so have to completely clear our desks every night from now on. Boo! I'll just have to jazz up my home desk instead.